I started watching Lorraine Pascale's cooking show on TV last year, she is one of those chefs that make everything look easy. 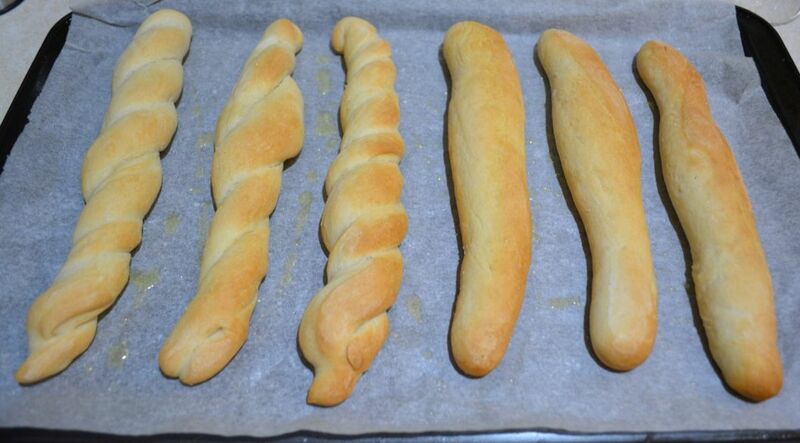 I had never made bread before, but she made these look so simple. These are great, they are quick to make and great to eat. 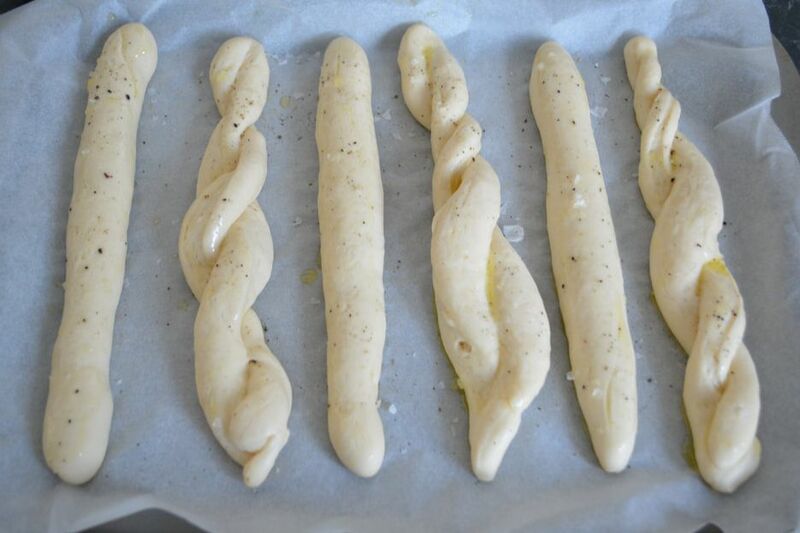 They are perfect when you don't have bread in the house, it is quicker to make these than go to the shop. My family love it with hearty soups but they are also great with antipasti or just as a snack. 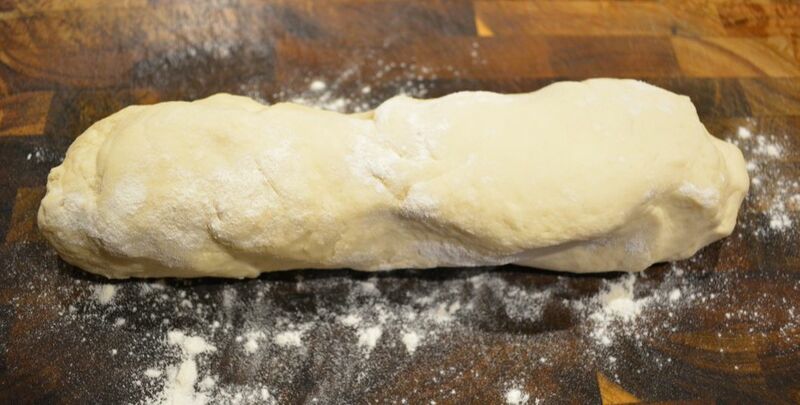 If you have never made bread, this is a great way to start. In a large bowl of an electric mixer add the flour, yeast and salt. 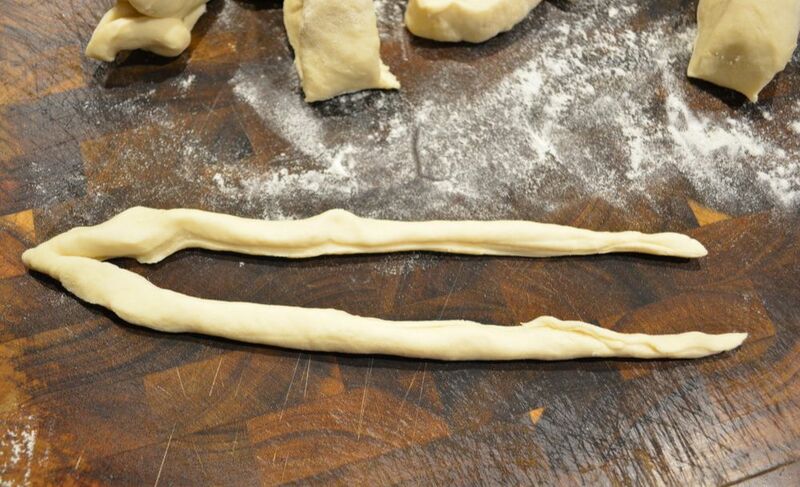 Add enough water to make a soft, but not sticky dough. Using the dough hook attachment, knead on slow to medium speed for 5 minutes. If you do not have an electric mixer, knead by hand 10 minutes. I have found if the dough is too sticky just sprinkle a little more flour into the mix. Divide the dough into 12 even pieces, about 60g each. 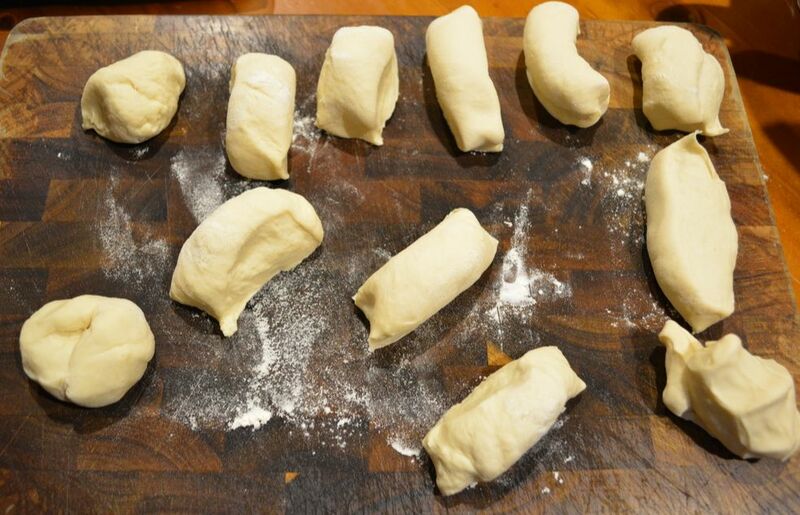 Roll into balls, then on a lightly floured surface, roll into 25 x 2cm sausage shaped sticks. 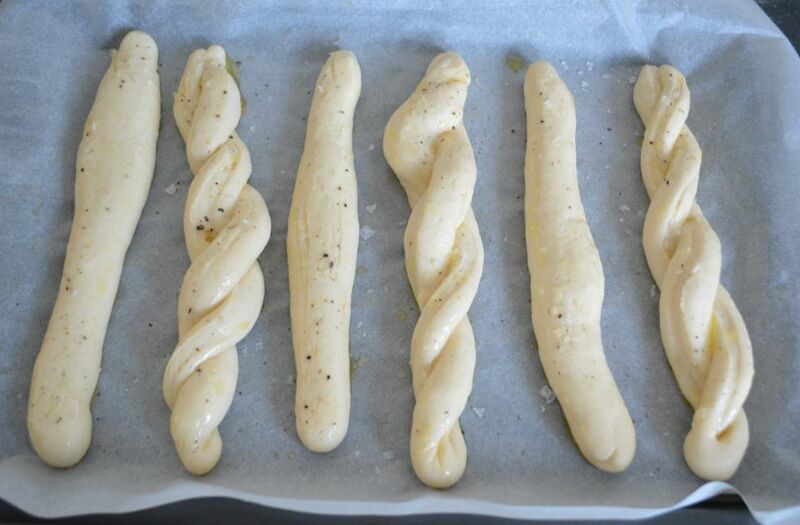 For a great effect, I leave half plain, the other half I plait. 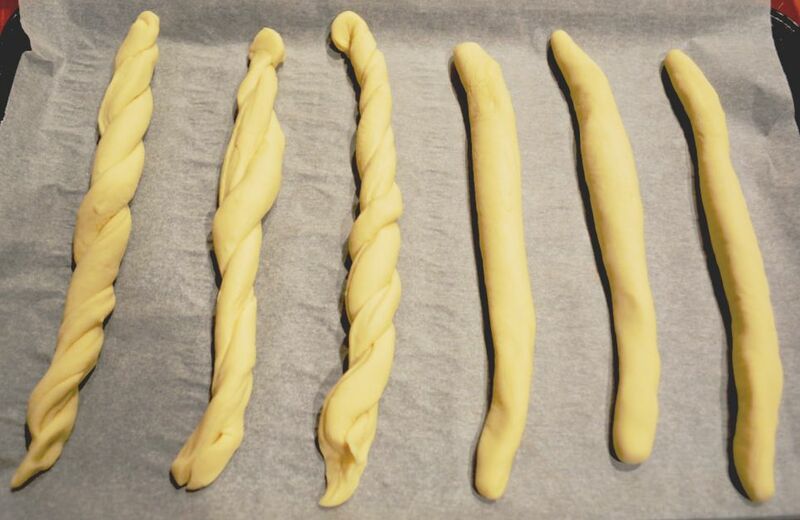 To plait, just make a slit down the middle of the stick, starting from 1cm in from the top of the stick, all the way to the bottom. 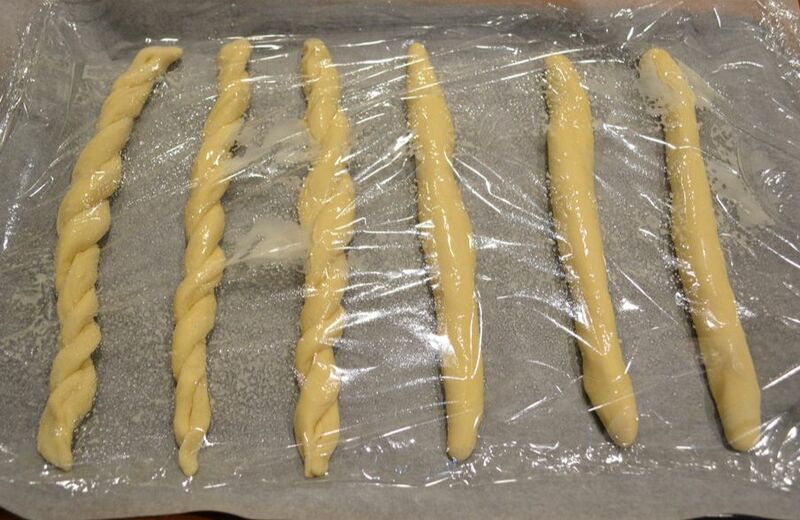 Then just plait each half over the other. 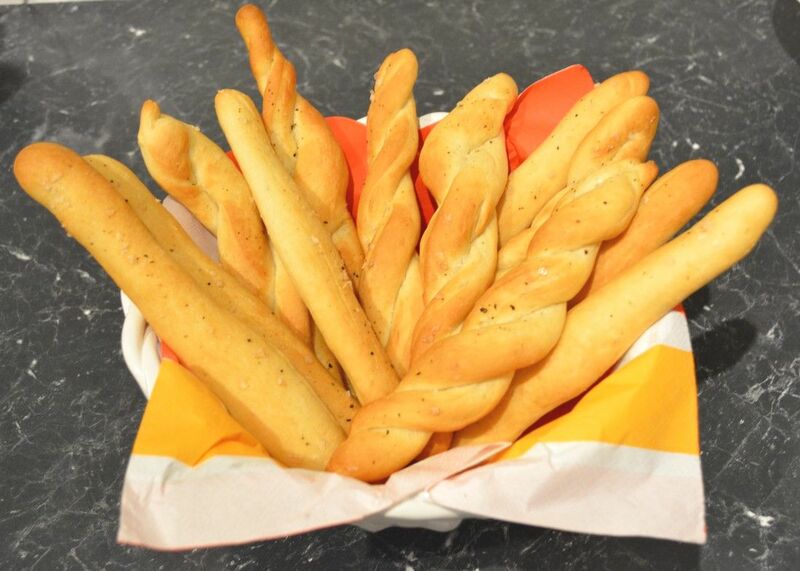 Place the breadsticks onto your prepared tray, leaving a 4cm gap between each breadstick, as they need room to spread. Cut two large sheets of cling film. Spray one side of the cling film lightly with cooking spray. Place the oiled side on top of the breadsticks and cover them loosely with the cling film, but make sure it is airtight. Leave in a warm place for 30 minutes or until doubled in size. Bake on the top third of your oven for about 20 minutes, or until lightly golden and feel firm to the touch. Remove and allow to cool, slightly, on the trays. 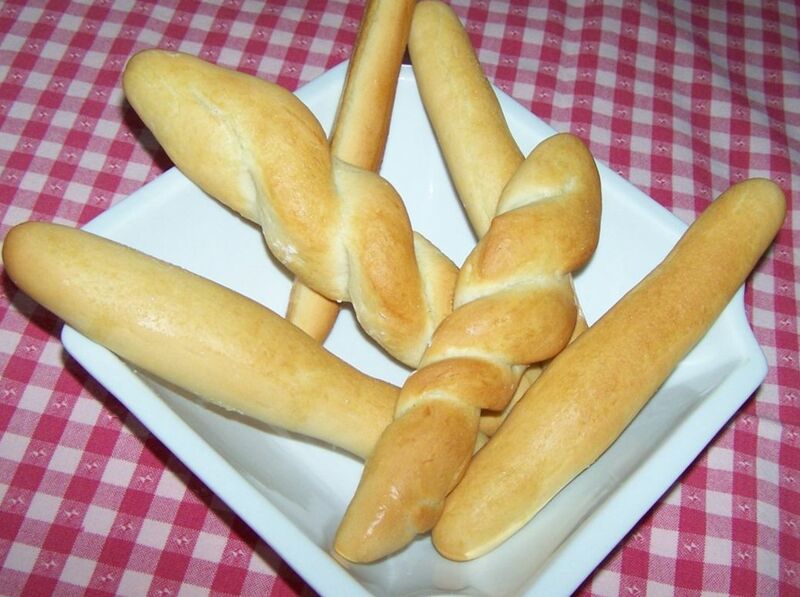 These breadsticks are best eaten on the day they are made.